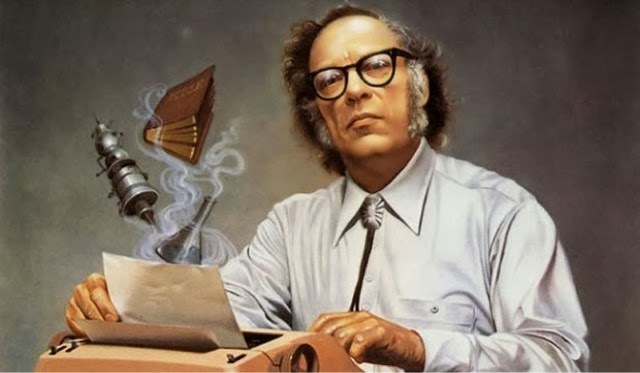 GenreOnline.net: Happy Birthday Author Isaac Asimov! Happy Birthday to Isaac Asimov. The Grand Master of Science Fiction and a master of sciences and literature alike. He wrote about Shakespeare, gave us the three laws of robotics, was a friend and consultant to Gene Roddenberry on Star Trek and is really the father of contemporary science fiction and simply a brilliant man and a New Yorker to boot! How I wish I could have me him just once. Alas he passed away before I ever read his work. He will always be celebrated for many things and I am grateful to have read his work regardless. There are few authors I have read that truly deserve the title Grand Master. Isaac was one.